Air Charter Service is a market leader in its field with annual revenue of USD 500m per year. The company's Headquarters in London are the heart of a global business, with offices across North America, South America, Europe, The Middle East, Africa, Russia & CIS, India and the Far East. Our Private Jets division arranges passenger aircraft charters for a diverse client base including but not limited to; High net worth individuals (HNWI), celebrities, the entertainment industry, senior level executives, private venture capitalists and the sports industry. - Fluency in verbal and written English. Fluency in Tamil is preferable. 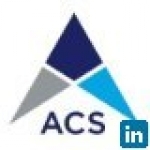 Office & Recruitment Manager at ACS Air Charter Service India Pvt. Ltd.